Able Estates was born in February 1997 and was started by Paul and Dawn Servis ( brother and sister ) and their best friend Peter Jones. Prior to Ables the 3 directors all worked for a corporate agent and decided that if they could get the money together they would give it a go themselves and now 20 years on Ables is still going strong - the rest is history as they say. Hunters Estate Agents Abbey Wood specialises in property sales and lettings in SE2, SE28, SE18, DA17 and DA18. Abbey Wood is in the London Borough of Bexley and Royal Borough of Greenwich. Abbey Wood borders our neighbouring offices at Welling, Bexleyheath and Blackfen and covers many other areas for property sales and lettings such as Barnehurst, Crayford, Slade Green, Erith, Upper Belvedere, South Bexleyheath, Woolwich, Bexley and parts of Sidcup. 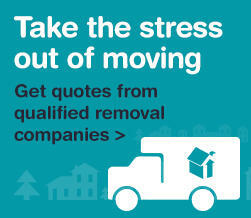 Hunters Lettings Letting you Relax……………. Looking for an agent that will work harder to let your property? If so, please call us. Our mission is a simple one; to let your property without delay and with the minimum of fuss. Don’t take our word for it, judge us by our client recommendations : 97% of our customers tell us that they recommend us to their friends and family, something we are very proud of.